Offering you a complete choice of products which include cs flange wnrf-weld neck raised face, cs flange screwed, cs flange sorf-slip on raised facecs, cs flange brlf-blind raised face and cs flange swrf-socket weld raised face. We are well-known organization of CS Flange WNRF-Weld Neck Raised Face. Our products are developed under the headship of adroit experts using the industry allowed material, which is sourced, from dependable merchants of market. Our products are extensively used in the market owing to their sturdy nature. 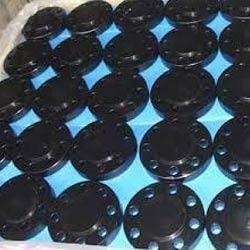 We are involved in delivering a wide series of CS Flange Sorf-Slip on Raised Facecs. Our series is available in diverse specification that meets on clients demand. In addition, our product is inspected on diverse industry norms to ensure the longer life. In addition, we present this product at low costs to our patrons. 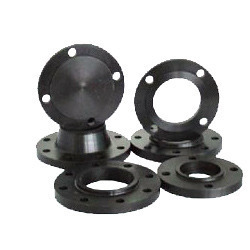 Owing to the opulent knowledge, we are proficient to provide CS Flange BRLF-Blind Raised Face to our respectable clients. Our products are developed by experts utilizing the best grade raw material, which is sourced from dependable sellers of the market. In addition, our series is inspected on varied industry standards to ensure longer service life. 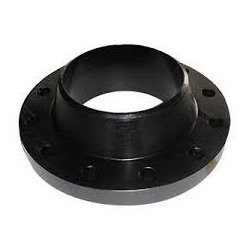 Our organization is a leading name, involved in providing an extensive series of CS Flange SWRF-Socket Weld Raised Face. Experts use the top grade material and advanced techniques to manufacture this product as per industry standards. Our product is enormously admired owing to their strong nature. In addition, we present this product to our clients at low prices.